Efficiency, international outlook and brand identity are the foundations of MDF Italia Spa. 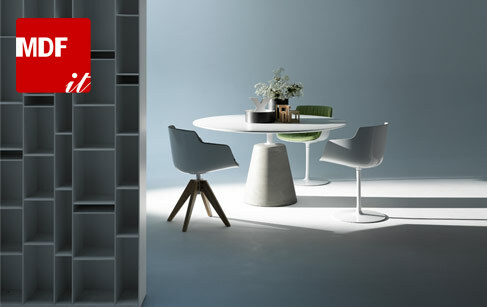 Since 2000, the company has been working with major international designers to develop new products and designs like the series of chairs and tables called Flow by French designer and architect Jean-Marie Massaud. There is also the Belgian, Xavier Lust, whose innovative authenticity is revealed in the S-table. S for simple or ‘Simple is nice’. MDF Italia’s design strategy is an end result of a continuous balance between research, development along with a business model worth noting. The technical and R/D departments as well as production and distribution are all centrally located at the corporate headquarters in Mariano Comense where goods are shipped to over 43 countries across the world.